DISCOUNTED DISNEY ITEMS! 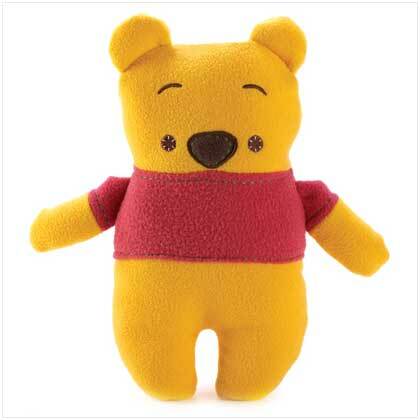 We have discounted winnie the pooh disney items, discounted Disney Princess, discounted disney toys items, discounted disney figurines items and more! 14982 MICKEY MOUSE FLORA 7'' DISH! Mickey Mouse’s beloved silhouette stars at the center of this lovely dish, adding a touch of whimsy to this artistic collector piece. A crowning glory for any Disney enthusiast! 14980 MICKEY MOUSE FLORA PLATTER! 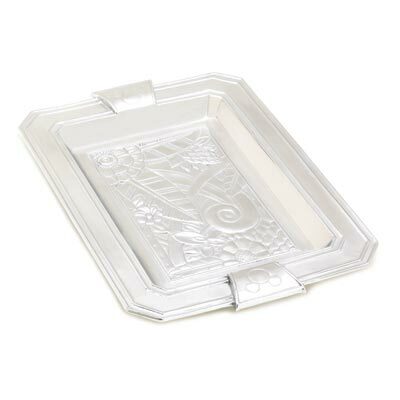 Formal yet fanciful, elegant yet enchanting - this gorgeous platter strikes the perfect balance! With beautiful Art Deco artistry and Mickey Mouse’s beloved image, this piece is a shining tribute to Walt Disney’s creative genius. 14978 MICKEY MOUSE MATINEE TRAY! 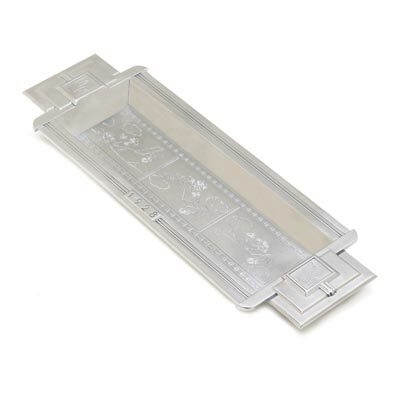 Pay homage to Disney’s very beginning with this elegant collector tray! Crafted in the Art Deco tradition of the 1920’s, it’s a fitting frame for a fanciful filmstrip cartoon engraving depicting Mickey Mouse’s amusing attempts at aviation. 14977 MICKEY MOUSE FLORA TRAY! 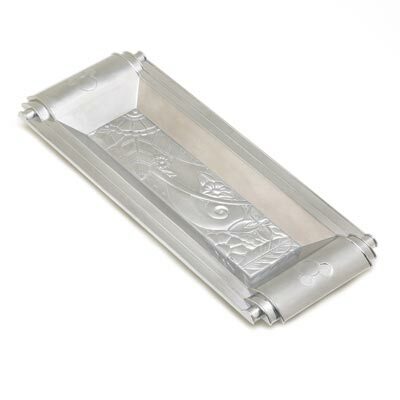 Beautifully crafted tray brings together the finest of Art Deco styling, with Mickey Mouse’s classic silhouette adding a touch of childhood enchantment. 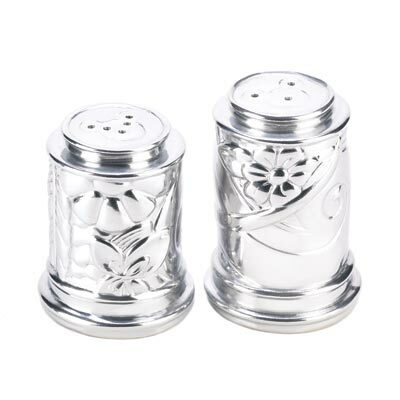 A distinctive addition to any Disney memorabilia collection! 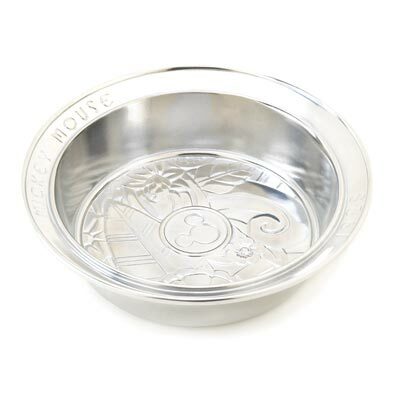 14976 MICKEY MOUSE FLORA 6'' TRAY! 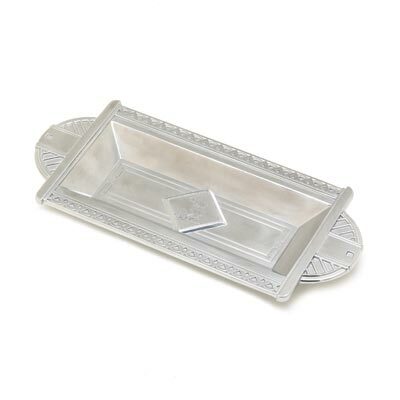 Bring back the elegance and imagination of the Roaring Twenties when you display this striking silvertone tray! Mickey Mouse himself makes an appearance, adding warm-hearted whimsy to this stately serving piece.